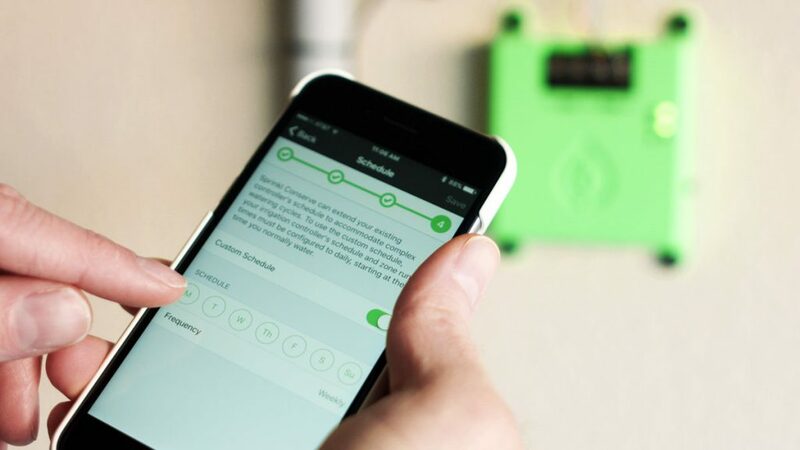 Conserve by Sprinkl is a smart sensor that works with all sprinkler systems by adding smartphone control to the existing device while reducing the water bill by up to 30%. Delivering more reliability and functionality than a traditional rain sensor at less than half the cost and effort of replacing your existing controller. Take control of your system and save more by installing the Conserve device today, and it will pay for itself within six months (based on average savings). We have had a Hunter Pro C sprinkler controller since 2009. We had a Hunter Rain-Clik Rain Sensoring Irrigation Control installed as well. The rain senor never seemed to work. I saw the Sprinkl Conserve at Home Depot and read about what it did on the box. I decided to give it a shot. I installed our Sprinkl Conserve in February of 2017. I love it. So simple to install and set up. The customer service has been supreme. I contacted them to see if they could connect my Sprinkl Conserve device to a local weather station to provide even better accuracy on the weather data...bingo bango, DONE! Thanks Mark and Noel for your help and for creating such a simple device that has been a pleasure to own and use PLUS it's saving me money! This little gadget totally works on our obsolete 8 year-old Cyber-Rain controller (Cyber-Rain is out of business) and it saved us $ right off the bat because I didn't have to replace the controller but just added Sprinkl Conserve to it! We finally have connected control of our irrigation and here in L.A. It's going to save us a bundle over time as our water costs $.01 per gallon. Noel, one of the developers, even drew a wiring diagram for me, how cool is that? Thanks Noel!!! This device worked very well. Allows me to control the days that my system waters by cell phone. I changed the programming of my control unit to water every day and then I use the Sprinkl app to actually control which days watering is allowed. Installation was very simple; instructions are well written and seems to accommodate different makes of control units (mine was a Rain Bird). Looking forward to seeing this company develop more products. This is one really cool and useful device. I got this because I wanted to be able to control my sprinkler from my phone without having to buy a whole new controller. The app is easy to use, and I like that it can follow my city's water restriction schedule. Installation was easy -- took me about 10 minutes. 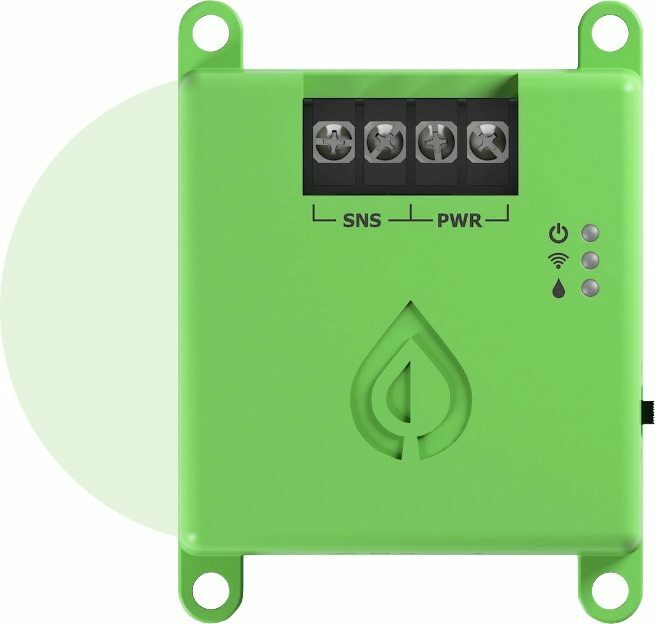 Sprinkl’s Conserve product adds advanced conservation settings, scheduling, and basic smart phone controls to an existing irrigation controller. Sprinkl Conserve is known as an "interrupter," it works by interrupting the watering state of an irrigation controller by either acting as a rain sensor (connected through the rain sensor terminals) or by interrupting the common wire. Does Conserve work in countries besides the United States? Currently Conserve only works within the United States. How can I install Conserve to an irrigation controller that doesn’t support a rain sensor? Follow the installation guide for turning off the irrigation controller and mounting the device near the irrigation controller. Make sure your Conserve device is turned off. Using the supplied installation wire, connect two of the wires on one end to the PWR terminal on Conserve. Connect the adjacent ends to the irrigation controller's power terminal. If your irrigation controller lacks power terminals, see "How can I install Conserve to an irrigation controller doesn’t have a power terminal." Remove the common wire from the irrigation controller. This is often labeled COM and is often white. Connect the removed common wire (coming from the valve (wall)) to one of the terminals labeled SNS on Conserve. Using one of the unused supplied wires, connect one end of the wire to the free SNS terminal and the other end back to the irrigation controller's common terminal. How can I control my schedule? Sprinkl Conserve has the ability to override your irrigation system's schedule. Set your irrigation controller to run weekly, every day at the desired times (zone times are configured within the existing controller). Once your irrigation controller is set to run daily at your desired time/intervals, enable scheduling within the Sprinkl app. Once enabled you will be able to select the frequency and days of the week to run using your smart phone. Schedules can then be controlled remotely from anywhere. Where can I download the Sprinkl Conserve app? The Sprinkl app is available on both the *AppStore* and *Google Play Store*. Are there plans for a Windows Phone version of the Sprinkl Conserve app? We are constantly evaluating ways to expand our reach to additional platforms. While a specific Windows phone application may not be available for some time, a web portal is in the works that will allow users to control their systems from anywhere with a web browser. My irrigation controller is already an ET controller, what benefit does Sprinkl Conserve offer? While newer ET controllers are beneficial when compared to legacy systems, most of them are "disconnected" and the ability to remotely control or configure the units from anywhere in the world. 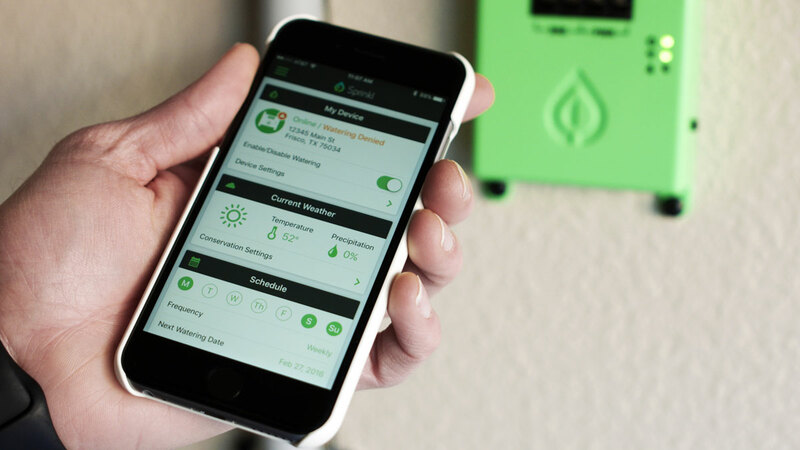 Conserve adds the ability to remotely configure the day schedule, change conservation settings, and turn off watering whether your nearby the unit or not. Since Conserve only alters the system watering state, additional ET features can be used in conjunction. © 2019 Sprinkl.io, LLC. Sprinkl, the Sprinkl drop, and Sprinkl Conserve are regisered trademarks of Sprinkl.io, LLC. All rights reserved.